At the moment, I only have few informations about this signal whip. It was made in Germany, plaited from black cowhide with a dark red pattern. The cracker is neatly made from a silk-like material. 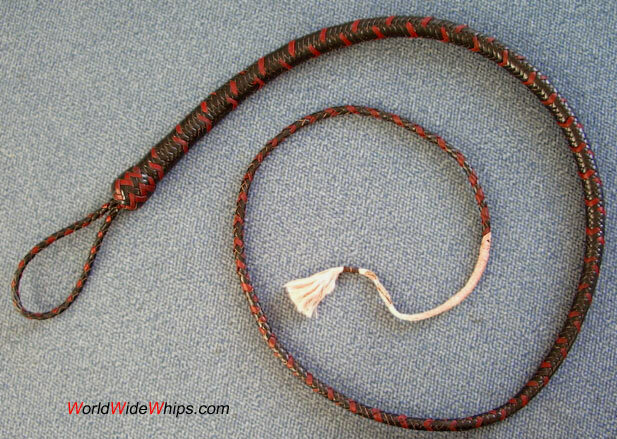 The whole whip is lightweight, the braid not as tight as usual, but the whip rolls out very precisely.